Montecillo was an undergraduate intern who majored in Religious Studies and Plan II Honors, focusing on the religions of Europe, the Middle East, and the Americas. 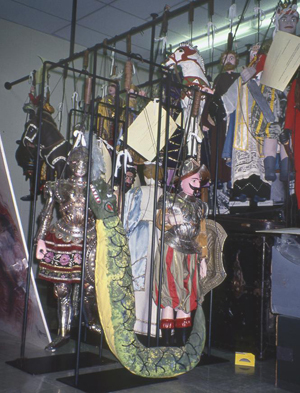 The Stanley Marcus collection of Sicilian marionettes before custom housing was built. The Stanley Marcus collection of Sicilian marionettes in their custom-built housing. The figures, which are made of painted wood and metal components, stand about four feet tall and are dressed in fur, leather, cloth, and metal armor. The human marionettes have wooden heads, torsos, hands, and legs. Their arms are made out of folded cloth. A few figures have glass eyes, and some even have human hair adhered to their heads. 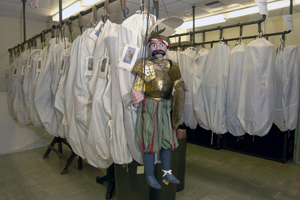 Protecting the marionettes posed a particular challenge for the Ransom Center’s conservation and preservation team. Read the full article about the preservation efforts relating to the marionettes. 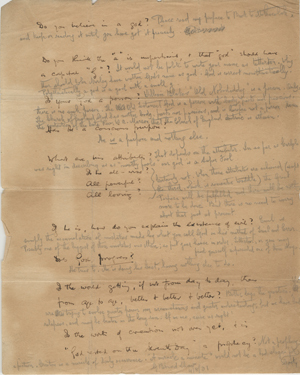 George Bernard Shaw's responses to a questionnaire about God. 1931. George Bernard Shaw collection. Dr. Erik Tonning is Research Director of the “Modernism and Christianity” project at the University of Bergen, Norway. 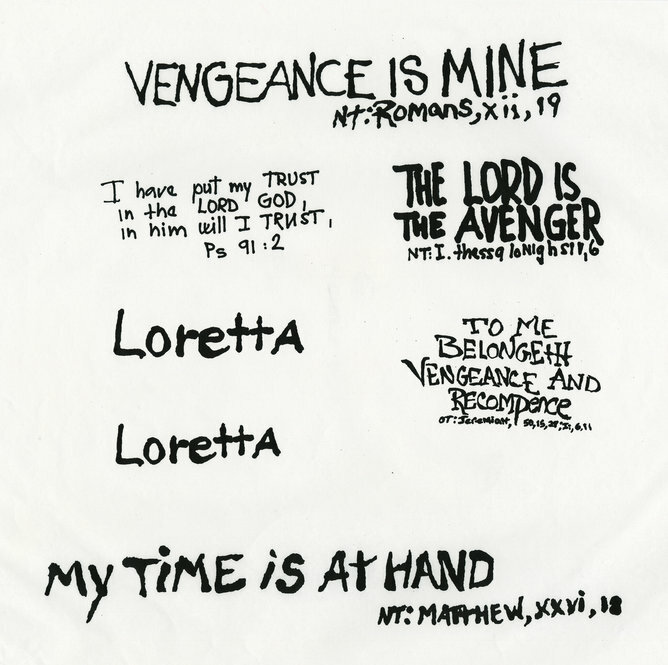 He visited the Ransom Center in June 2011 to view a range of its modernism holdings and to gather information on behalf of his research team from several of the Ransom Center’s rich collections. Tonning writes about his research and his findings, including manuscripts that highlight George Bernard Shaw and D. H. Lawrence’s approaches to a new theology, as well as a letter from T. S. Eliot, one of the most famous modernist converts to Christianity. 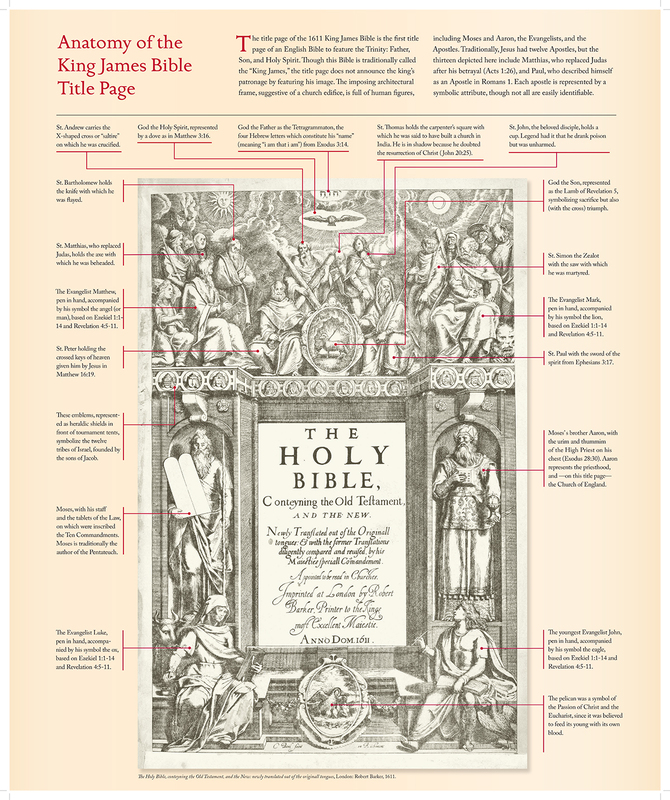 Historian John Speed (1542–1629) worked with Hebrew scholar Hugh Broughton to create a 36-page genealogy to accompany the first printing of the King James Bible. 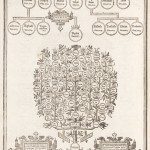 The genealogy traced “euery family and tribe with the line of Our Sauior Jesus Christ obserued from Adam to the Blessed Virgin Mary.” Speed’s genealogy (1611) portrays the then-popular view that Noah’s sons went on to populate specific regions of the world: Shem to Asia, Japheth to Europe, and Ham to Africa. In the Americas, pro-slavery advocates used the “curse of Ham” to justify the enslavement of Africans and their descendants. Speed’s genealogy and other manuscripts related to the King James Bible are on view in the exhibition The King James Bible: Its History and Influence through July 29. Please click on the thumbnails below to view full-size images. 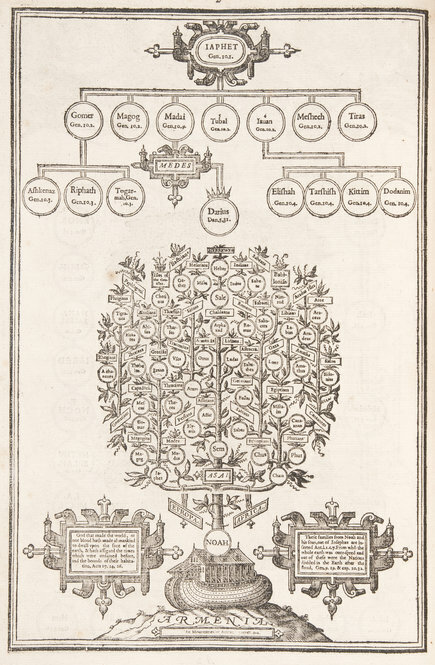 Antiquarian John Speed created a thirty-six page genealogy that was inserted into the first edition of the King James Bible (1611). 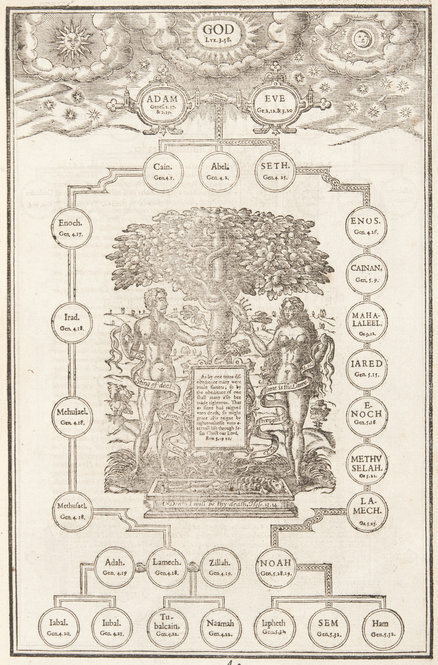 John Speed’s genealogy from the first edition of the King James Bible (1611) portrays the then-popular view that Noah’s sons went on to populate specific regions of the world: Shem to Asia, Japheth to Europe, and Ham to Africa. In the Americas, pro-slavery advocates used the “curse of Ham” to justify the enslavement of Africans and their descendents. 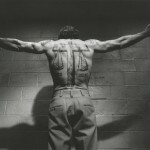 In the Galleries: Robert De Niro’s King James Version-inspired tattoos in "Cape Fear"
The 1991 Martin Scorsese–directed thriller Cape Fear may seem an unlikely candidate for documenting the use and influence of the King James Bible, but its central character, Max Cady, as played by Robert De Niro, wielded biblical verses like weapons. This aspect of Cady was absent in both the original 1962 film starring Gregory Peck and Robert Mitchum and in The Executioners (1957), the novel by John D. MacDonald on which the film was based. 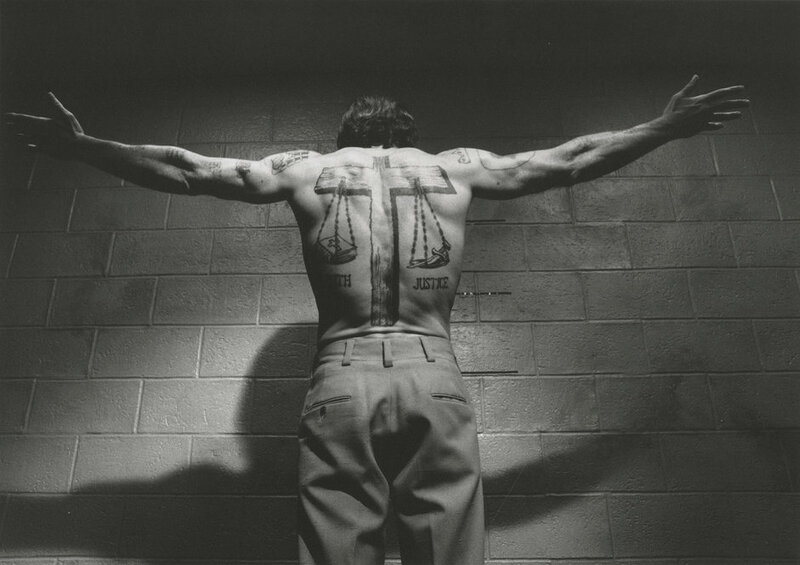 Cape Fear follows Cady, a convicted felon, as he seeks vengeance against his attorney, Sam Bowden. While in prison, Cady learned that Bowden suppressed information that might have resulted in a lighter sentence or acquittal. 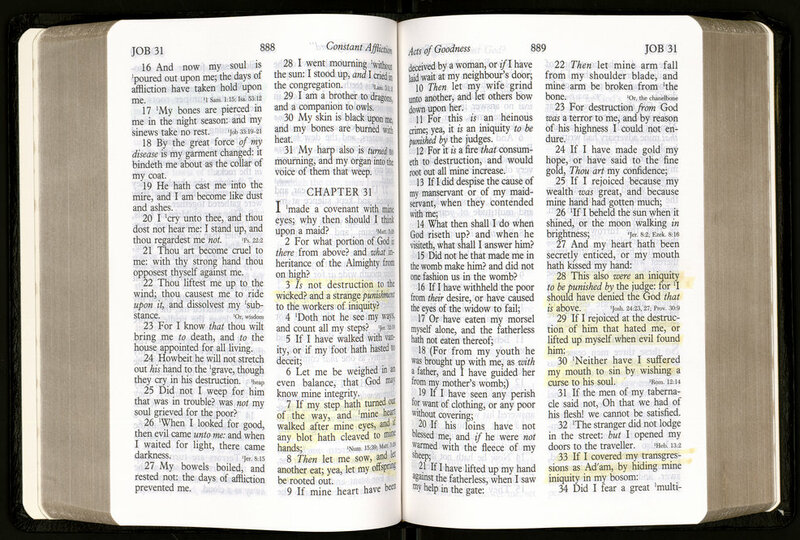 The biblical story of Job’s suffering looms large as a model for Cady’s punishment of Bowden. 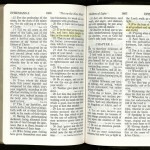 The research materials from the Robert De Niro collection reveal the extent to which De Niro was involved in the development of the Pentecostal past of and biblical influence on Cady. 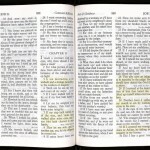 To prepare for the role, De Niro consulted multiple Bibles, a concordance, Bible study guides, Stephen Mitchell’s translation of the Book of Job, and books and articles about Pentecostalism and Pentecostal worship. 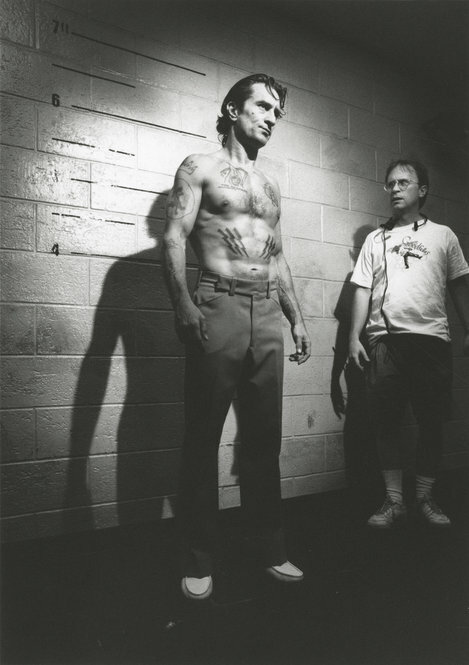 Screenwriter Wesley Strick recalled, “Every scene of Bob’s, he would call me and say, ‘Can Max say something else here about vengeance, from the Bible?’” De Niro also worked closely with Scorcese and artist Ilona Herman to identify Bible verses and designs for Cady’s extensive tattoos. 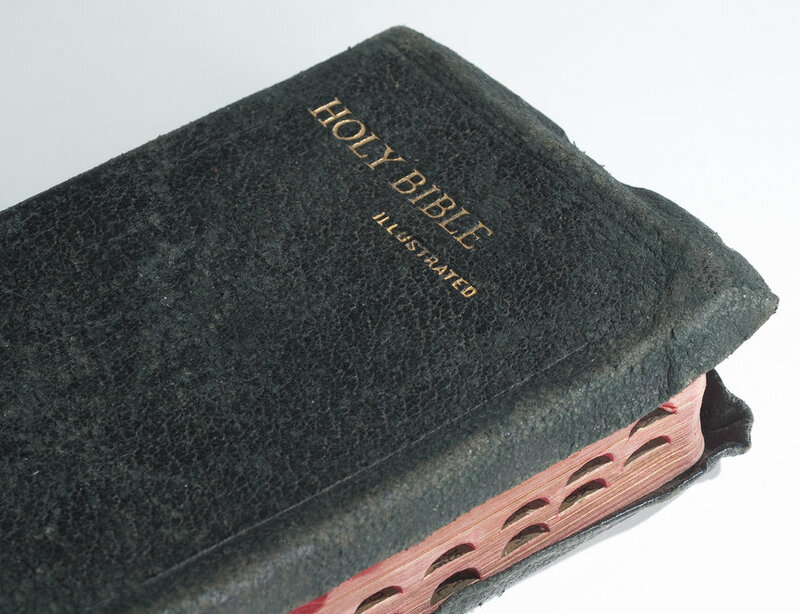 Materials from Cape Fear and other films influenced by the King James Bible are on view in the exhibition The King James Bible: Its History and Influence through July 29. 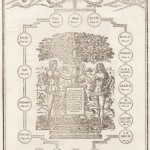 The title page of the 1611 King James Bible is the first title page of an English Bible to feature a depiction of the Trinity: Father, Son, and Holy Spirit. Though this Bible is traditionally called the “King James,” the title page does not announce the king’s patronage by featuring his image. View a full-size version of this image here. The imposing architectural frame, suggestive of a church edifice, is full of human figures, including Moses and Aaron, the Evangelists, and the Apostles. Traditionally, Jesus had twelve Apostles, but the thirteen depicted here include Matthias, who replaced Judas after his betrayal (Acts 1:26), and Paul, who described himself as an Apostle in Romans 1. 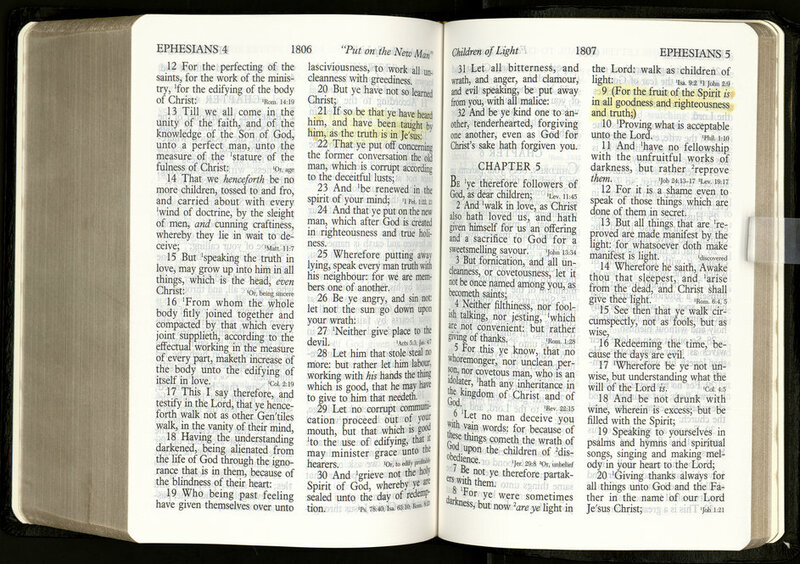 Each apostle is represented by a symbolic attribute, though not all are easily identifiable. The first edition’s title page and other materials pertaining to the King James Bible are on view in the exhibition The King James Bible: Its History and Influence through July 29. A small book worm, assisted by a book support, and a large book snake; both assist Io Montecillo, by gently holding open small and large books. Photo by Pete Smith. Though seldom spoken of, the “book snake” has been a staple for patrons in the Ransom Center’s reading room for many years, while its smaller cousin, the “book worm” has appeared more recently. The story behind these creatures, often seen draped over the sides of books or nestled between the covers, is little known to those not involved in book conservation. Book snakes and worms, along with book cradles, are used to safely support books and other collection materials while they remain open. 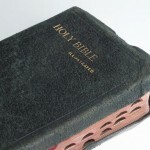 The added support of a cradle keeps a book from lying flat on a surface, thereby maintaining the integrity of the spine. Book snakes and worms keep pages open, minimizing contact with oils found on hands and fingertips. These measures extend the life of books and preserve them for future use. While similar in purpose, the distinction between book snakes and worms lies in their size and structure. In the past, the Ransom Center’s book snakes and worms were more commonly weighted with lead shot. The difficulty of obtaining loose shot, however, compelled Ransom Center conservators to seek alternative materials. Mindell Dubansky, a preservation librarian and book conservator at The Metropolitan Museum of Art, proposed using chain-stuffed book snakes. Mary Baughman, a Ransom Center conservator, fashioned a prototype with a dense chain that was strong but no bulkier than an equal weight of shot, and at a reduced production cost. The reading room staff approved Baughman’s design for use. 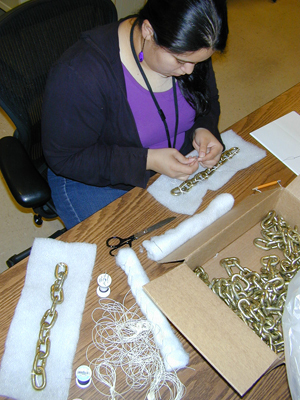 Samantha Cabrera constructing “book snakes” with chain links. Photo by Mary Baughman. Now, the Ransom Center’s book snakes are made by hand sewing 12-inch lengths of chain onto a piece of polyester batting. The batting is then sewn around the chain with thread. The padded chain is then placed into an ultra-suede cover, and the open end of the cover is sewn shut. The finished snake weighs about one pound. The structure of the Center’s book worms, on the other hand, differs from that of their larger counterparts. Because the worms are more suitable for use with smaller volumes, a dense chain is unnecessary. Instead, book worms are made from four lengths of drapery-weight cord that are tied into a 12-inch long bundle using sturdy book-binding thread. 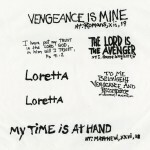 Each bundle is encapsulated in a polyethylene sleeve secured with a basting stitch using sewing thread. The bundles are then placed into a ultra-suede covers, and the open end of the covers are sewn shut. The finished book worm weighs about one ounce. When not retrieving books from the stacks for library patrons, reading room staff are able to assist in the construction of the snakes and worms because of the simplified construction method. 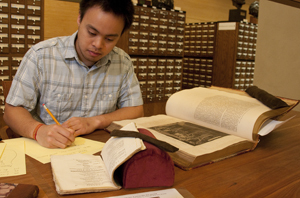 Read more about conservation at the Ransom Center.